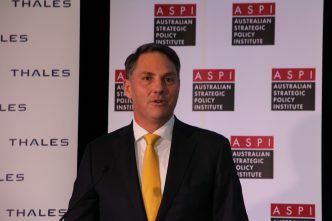 With the federal government committed to spending 2% of GDP on defence over the next decade, Australia’s naval shipbuilding sector is set to undergo a renaissance that will drive the development of a new wave of skills and jobs, while allowing hundreds of domestic companies to tap into lucrative and sustainable global supply chains. While some have forecast the demise of manufacturing in Australia, this commitment to building a sustainable shipbuilding industry will see supply and support facilities ramp up right around the country. It’s an opportunity for Australia to build a sustainable, world-class export industry capitalising on the government’s investment in shipbuilding. We are living, unfortunately, in an increasingly unstable environment. Governments around the world are seeking to better equip their militaries to provide national security to their populations. Australia is well placed, as a respected middle power with solid relationships around the globe, to generate new export opportunities as it builds its own military capability. The minister for defence industry, Christopher Pyne, has identified the Middle East as one area where Australian companies could pick up lucrative contracts. There’s no reason not to also look closer to home, to the Asia–Pacific region where governments are seeking to build their defences amid growing regional instability. With close neighbours, such as Indonesia, the government has taken the fight to the scourge of people smuggling, successfully disrupting an evil trade. Minor war vessels have played a key role. As well, the rate of piracy and maritime crime in Southeast Asia continues to be a concern. Maritime intelligence company Dryad, for example, in its most recent analysis posted in February 2017, reported that these activities in the waters off the southern Philippines are posing a significant threat to seafarers. The $3 billion offshore patrol vessel program, in which Lürssen is a shortlisted bidder, provides a further opportunity for Australia to play an even stronger role in building regional capability in this crucial area. In terms of strengthening Australia’s naval shipbuilding capacity, positive signs are already emerging. Global giant Thales has just announced plans to revitalise the Carrington Marine Services Precinct at the Port of Newcastle, creating an estimated 70 jobs in the development phase alone. This is great news for the Hunter Valley and a small but tangible sign of a growing confidence in a sustainable shipbuilding sector. The major catalyst for this future prosperity is the federal government’s $90-billion-plus investment in new surface warships and submarines. This has generated global interest in the shipbuilding world, considering both the immediate benefits and longer term prospects in the region. The opportunity to develop a credible, innovative and sustainable shipbuilding industry in Australia—which can eventually compete for export contracts against established incumbents such as France, Spain, Italy and South Korea—is very much in the sights of both the government and foreign shipbuilders. There’s no reason this can’t be achieved, but the scale of the challenge shouldn’t be underestimated. The naval shipbuilding plan is an excellent starting point, but, given the scale of the undertaking, it’s time to establish guiding principles around which governments, industry and other stakeholders, such as Australia’s allies, can rally. Mistakes of the past must be recognised and avoided, along with the peaks and troughs that have contributed to shipbuilding’s so-called valley of death. 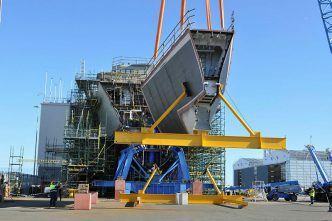 As a middle power, Australia should embrace a competitive naval shipbuilding sector that avoids a model based on having one key customer (the government) and a small oligopoly of shipbuilders. A vibrant naval shipbuilding sector must be underpinned by competition and free enterprise, and an export industry is the key to making that happen. The Department of Defence, which is overseeing the implementation of the shipbuilding plan, must ensure that excellence and innovation in design and shipbuilding processes are promoted to demonstrate that Australia stands with the world’s best. It will be critical to invest in shipbuilding skills, and the government has made an important start with the announcement of the Naval Shipbuilding College. The college will be headquartered in Adelaide but will provide education and training opportunities across the country. This is critical. 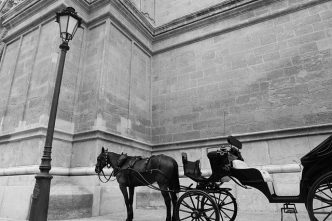 Australia needs to build its skills base right around the nation, not just in Adelaide and Perth, even though those cities will underpin much of the initial phase of the program. Other regional areas and cities—including Far North Queensland, Darwin, Melbourne, and regional NSW, Victoria and Tasmania—must be able to leverage the numerous opportunities that will flow through the design and build phases and then through the ongoing sustainment programs. 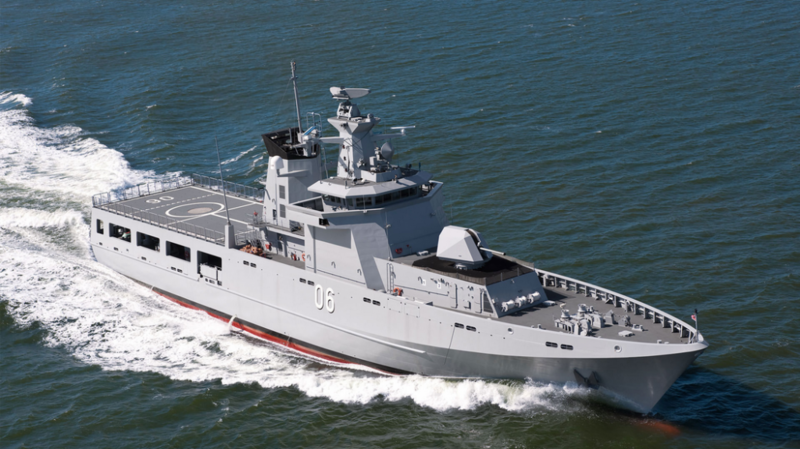 With most of the 12 offshore patrol vessels to be stationed at Darwin, a multimillion-dollar investment in highly skilled maintenance and other jobs will be required to support them. This will include engineering and other trades necessary to support a fleet of world-class vessels above and beyond the support that Darwin-based industry already provides. It will also offer new opportunities for Darwin-based small and medium-sized enterprises to provide a range of services with the potential to tap into global supply chains. The opportunities are endless for Australia to work with its allies and some of the world’s leading shipbuilders and designers to develop an exciting export industry. With careful nurturing and the right investment in skills and training, Australia can create a sustainable naval shipbuilding industry that will, in decades to come, stand as a testament to the forward thinking of this generation. Peter Lürssen is chief executive of German shipbuilder Lürssen. Image courtesy of Lürssen.